Having fun doesn’t have to cost money. 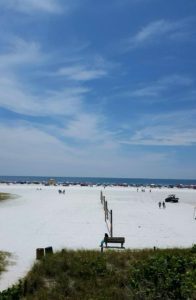 There are so many things to do in the Sarasota area, and since you can’t put a price on happiness, here are a few things you can do in Siesta Key that are free! Go to the Beach! Our beaches are free! There is no charge to get into the beach, or to park your car in the lot. This is pretty amazing because Siesta Beach has some of the finest, whitest and in the world. The water is also very calm and clear which makes it perfect for swimming. Grab your sunblock, a towel, a good book and anything else you need to complete your perfect beach day. Stay through till the evening to see one of the best sunsets on the west coast! Collect Shells Anther fun thing to do is to collect shells. Turtle Beach on the south end of Siesta Key will have the most shells on the island. Shells can be found on all of Siesta Key’s beaches (Siesta Beach, Crescent Beach and Turtle Beach), but Turtle Beach has more due to its location, and because it’s much less crowded than Siesta Beach. 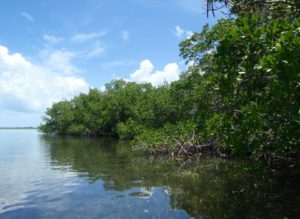 Go Diving Also located on the southern end of Siesta Key is Point of Rocks. This is arguably the best place on the west coast of Florida for snorkeling. There are more than 100 yards of limestone ledges to explore. The calm waters make for a perfect beginner dive. Parking can be difficult, so it is best to go in early morning and get a spot at beach access No. 12. Parking spots are limited and are usually filled by mid-morning. Stay tuned to catch our next edition of “Things to do in Sarasota”. Having fun doesn’t have to cost money. 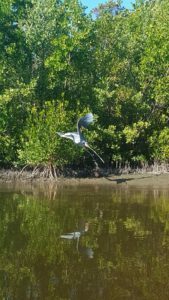 There are so many things to do in the Sarasota area, and since you can’t put a price on happiness, here are a few things you can do in Siesta Key that are free! pretty amazing because Siesta Beach has some of the finest, whitest and in the world. The water is also very calm and clear which makes it perfect for swimming. Grab your sunblock, a towel, a good book and anything else you need to complete your perfect beach day. Stay through till the evening to see one of the best sunsets on the west coast! Anther fun thing to do is to collect shells. Turtle Beach on the south end of Siesta Key will have the most shells on the island. Shells can be found on all of Siesta Key’s beaches (Siesta Beach, Crescent Beach and Turtle Beach), but Turtle Beach has more due to its location, and because it’s much less crowded than Siesta Beach. Also located on the southern end of Siesta Key is Point of Rocks. This is arguably the best place on the west coast of Florida for snorkeling. There are more than 100 yards of limestone ledges to explore. The calm waters make for a perfect beginner dive. Parking can be difficult, so it is best to go in early morning and get a spot at beach access No. 12. Parking spots are limited and are usually filled by mid-morning. Stay tuned to catch our next edition of “Things to do in Sarasota”.